Trade Boiler Spares parts for all types of gas and oil fired boilers, cookers and heating systems. Now order up to 5PM for next day delivery!! All our parts are genuine manufacturers replacement items and come with full warranty. We currently have over 35 years combined experience in boiler spares and controls, more than anyone else in the area. We will bring you the best specialist goods, at the best price, with the best service, so you can buy from us in confidence. Monday to Friday 8:00 a.m. till 5:30 p.m.
We will also beat any genuine quote from any of our competitors. It is is our aim to ensure total customer satifaction. We stock parts, tools and accessories from all the major manufacturers : Anton, Ariston, Alpha, Andrews, Baxi, Biasi, Blaklader, Ferroli, Glowworm, Grundfos, Halstead, Heatline, Honeywell, Ideal, Johnson & Starley, Keston, Potterton, Ravenheat, Snickers, Testo, Thorn, Vaillant, Valor, Worcester and many others. We are here to help - call round to the trade counter, telephone or email and we will do our best to find the boiler spares you need. Expert advice is always available. Also don't forget our FREE DELIVERY service around the Bournemouth & Southampton & surrounding areas, we will deliver direct to the job.We now carry a large stock of consumables on the vans eg, clocks, programmers, pumps, mid position valves, gas valves, air pressure switches, thermocouples & many more boiler spares. Our local area includes, Ferndown, Verwood, Wimborne, Poole, Bournemouth, Christchurch, Dorset, Ringwood, Fordingbridge, the New Forest and Southampton. Call us on 0800 0834061 or email sales@tradeboilerspares.co.uk to order the boiler parts you need, or for expert help and guidance. All major credit cards accepted. It very soon will be, we have access to 250,000 lines of boiler spares, Most major manufacturers items are ex-stock, but in the unlikely event that you need something we don't have, we will get it for you as soon as humanly possible. 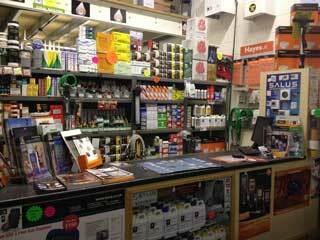 Total heating spares specialists in gas appliance spares!